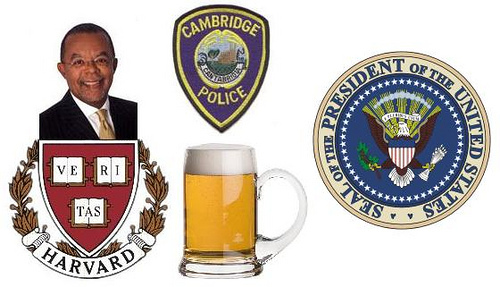 I've been thinking about what the arrest of Harvard professor Henry Louis Gates Jr. and the subsequent press coverage says about it, about Obama's brief but apparently incendiary statement about the stupidity of the police for arresting Gates in his own home and about this policeman who got offended when called racist by a tired, frustrated and perhaps pompous black professor. This is, BTW, a policeman who volunteered to give training sessions on racial profiling. He obviously cares about justice at the abstract level. Perhaps he just couldn't bear to have his own remnants of racism revealed. What does this all says about where we are as a nation with the issue of race? If there was a teachable moment in this incident, it could be found in how some powerful white people well beyond Cambridge responded to it. That reaction is merely the latest example of how the inexorable transformation of America into a white-minority country in some 30 years -- by 2042 in the latest Census Bureau estimate -- is causing serious jitters, if not panic, in some white establishments. Rich talks about how even Texas is trending blue now that people of color are voting in larger numbers and how both the growing Hispanic voting population and the (obviously) growing younger voters are abandoning the R's. That's the story that the powerful conservatives are panicked about. This page contains a single entry by Lynn Allen published on August 2, 2009 9:26 AM. Integrating My Meditative Life and My Political Life was the previous entry in this blog. A Wise Latina on the Supreme Court is the next entry in this blog.